However, the families making the move to the country today are doing things a little differently to their predecessors. 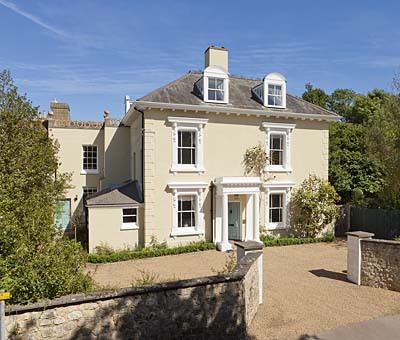 It’s becoming increasingly rare, for example, to send children to board full-time at prep school, so buyers are looking for houses within an easy weekly or flexi-boarding commute, and children are often being sent as day-school pupils instead. However, a two-tier market is appearing as well: although private prep schools remain the draw for those buying at the top end of the market, there is a bracket looking to spend from £500,000 to £1.25 million showing increased interest in the quality of the local schools in their area of choice, say agents. Last year, Hamptons International research found that living within the catchment area of the capital’s top 10 best-performing State primaries commanded a property premium of more than £200,000. Competition to secure a place in London’s heavily over-subscribed primaries is fierce, and, as many of these are faith-based schools, lots of parents appear to be ‘getting on their knees to save the fees’. To date, this hasn’t had a similar dramatic effect on country-house prices; it’s being within the catchment area of one of the top-performing grammars that pushes up local house prices in the provinces. The quality of good schools in Dorset is what Michael de Pelet of Knight Frank’s office in Sherborne describes as the county’s ‘joker in the pack’, citing a clutch of well-regarded prep and public schools that continue to draw both national and international buyers to his door. James Wilson of Jackson-Stops & Staff in Shaftesbury says his buyers often look to send their children to a local primary-Wardour and Chilmark cross the denominations for Catholic and Church of England children with an eye to moving them into the private sector for secondary school.